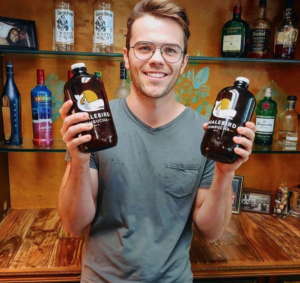 Increase same customer orders by 30-50% and drive repeat business with Whalebird’s refillable growler program. In coffee shops and cafes we understand that your available floor space is limited. Let our veteran draft techs show you how we can make it fit even if you think you don’t have the space. Let Whalebird bring adventure and beverage innovation to your coffee shop or café with Kombucha on tap! Since 2012 our top priority has been to make a bold yet balanced Kombucha so that you love it at first taste. Each flavor is organic, fermented in small batches, and flavored with dry steeped botanicals, essential oils, and fruit purees for a truly unique and full bodied experience. How do I get Whalebird Kombucha into my café or coffee shop?